The End of Evangelion [Movie] CoinSpinner gave it a 10. 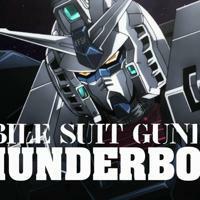 Mobile Suit Gundam Thunderbolt [TV] CoinSpinner gave it a 9. Mobile Suit Gundam Unicorn [OVA] CoinSpinner gave it a 9. 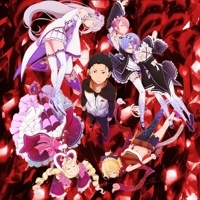 Re:Zero [TV] CoinSpinner gave it a 9. Erased [TV] CoinSpinner gave it a 9. 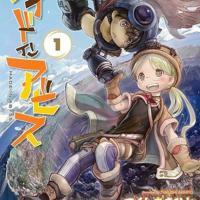 Made In Abyss [TV] CoinSpinner gave it a 9. 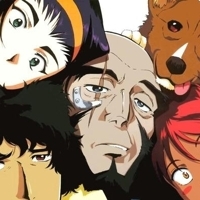 Cowboy Bebop [TV] CoinSpinner gave it a 9. 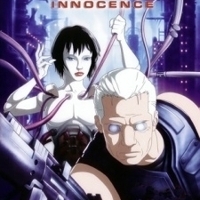 Ghost in the Shell 2: Innocence [Movie] CoinSpinner gave it a 9. Ghost in the Shell [Movie] CoinSpinner gave it a 9. 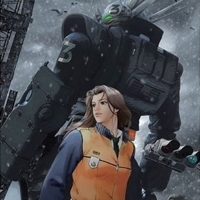 Patlabor 2 The Movie [Movie] CoinSpinner gave it a 9. Berserk Golden Age Arc I: The Egg of the King [Movie] CoinSpinner gave it a 9. 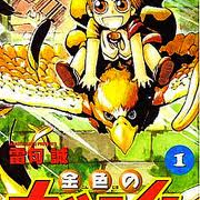 Ani.me's official listing has the Berserk Golden Age Arc I: The Egg of the King storyline, reviews, and Berserk Golden Age Arc I: The Egg of the King pictures that you need. 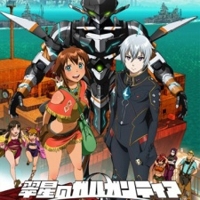 Gundam [TV] CoinSpinner gave it a 9. In the year 0079 of the Universal Century mankind has left from earth and live in many space colonies. When all was peaceful a family arose trying to take over and rule over the space colonies. Berserk: Golden Age Arc II - The Battle for Doldrey [Movie] CoinSpinner gave it a 9. 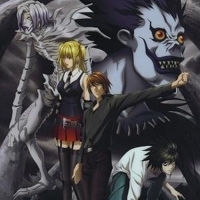 Death Note [TV] CoinSpinner gave it a 9. Neon Genesis Evangelion [TV] CoinSpinner gave it a 9. 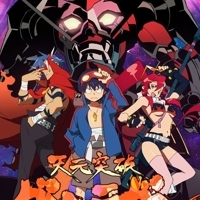 Gurren Lagann [TV] CoinSpinner gave it a 9. 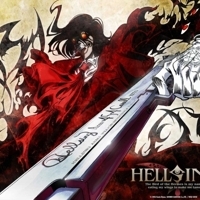 Hellsing Ultimate [OVA] CoinSpinner gave it a 9. 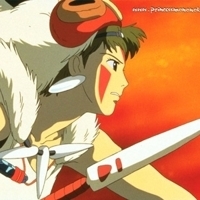 Princess Mononoke [Movie] CoinSpinner gave it a 9. 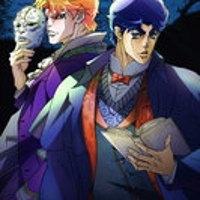 JoJo's Bizarre Adventure [TV] CoinSpinner gave it a 9. 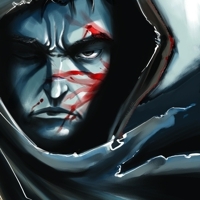 Berserk: Golden Age Arc III - The Advent [TV] CoinSpinner gave it a 9. Griffith is freed from prison but mentally and physically severely tortured and barely alive. At the moment he tries to end his life, a solar eclipse occurs, which draws him, Guts, Casca and the remaining army of his into another dimension, where a hopeless battle with powerful demons obliterates Griffith's army. Black Lagoon. [TV] CoinSpinner gave it a 8. 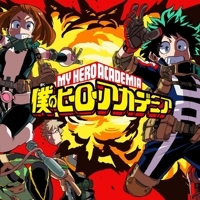 Boku No Hero Academia [TV] CoinSpinner gave it a 8. 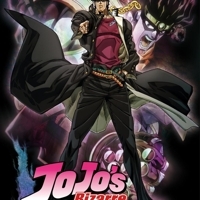 Jojo's Bizarre Adventure Stardust crusaders [TV] CoinSpinner gave it a 8. 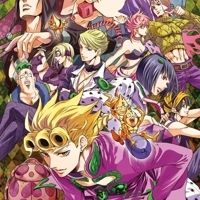 JoJo no Kimyou na Bouken Part 5 [Manga] CoinSpinner gave it a 8. 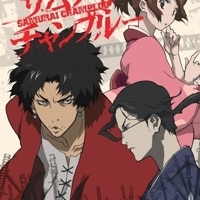 Samurai Champloo [TV] CoinSpinner gave it a 8. 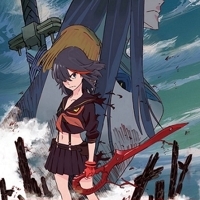 Kill la Kill [TV] CoinSpinner gave it a 8. 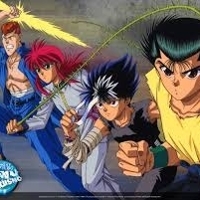 Yu Yu Hakasho [TV] CoinSpinner gave it a 8. 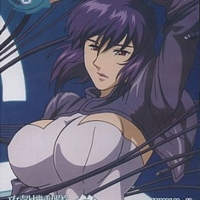 Ghost in the Shell: Stand Alone Complex 2nd GIG [TV] CoinSpinner gave it a 8. Full Metal Alchemist [TV] CoinSpinner gave it a 8. 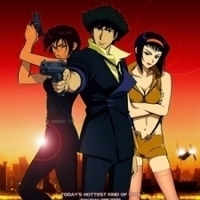 Cowboy Bebop - Knockin' on Heaven's Door [Movie] CoinSpinner gave it a 8. 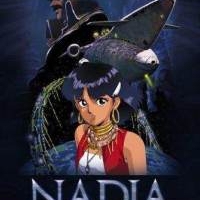 Nadia: The Secret of Blue Water [TV] CoinSpinner gave it a 8. In 1889, the world is on the pinnicle of great discoveries in technology. In mankinds grasp for the future, a sinister foe known only as Gargoyle, obsessed with restoring the former Atlantean empire to the glory it once held, begins his plans to take over the world. 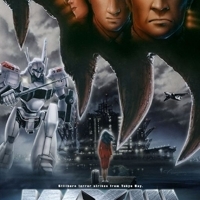 Patlabor The Movie 3 WXIII [Movie] CoinSpinner gave it a 8. 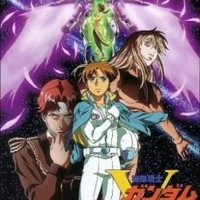 Gundam Wing Endless Waltz [Movie] CoinSpinner gave it a 8. 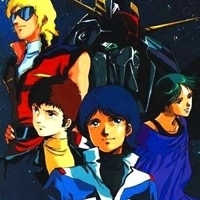 Zeta Gundam [TV] CoinSpinner gave it a 8. 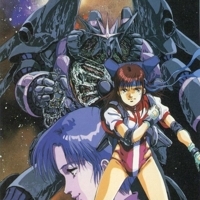 Gunbuster [OVA] CoinSpinner gave it a 8. 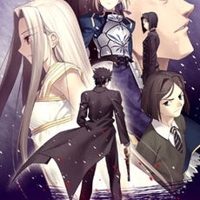 Fate/Zero [TV] CoinSpinner gave it a 8. 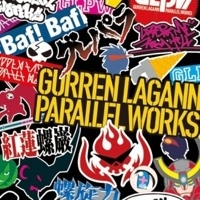 Gurren Lagann Parallel Works [Music Video] CoinSpinner gave it a 8. Megalo Box [TV] CoinSpinner gave it a 7. 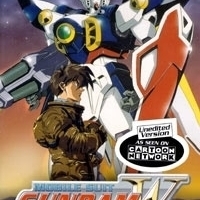 Gundam X [TV] CoinSpinner gave it a 7. Gundam X is the story of the survivors of the Seventh Space War who try to eke out a living within the ruins of their civilization. "Vultures", scavengers of war material and ruined cities, roam the wasted Earth. 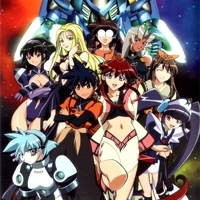 Mobile Fighter G Gundam [TV] CoinSpinner gave it a 7. 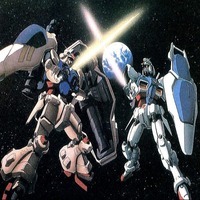 Unlike previous series in the Gundam franchise which are set in the "Universal Century" timeline, Mobile Fighter G Gundam takes place in an alternate "Future Century" universe. Within this timeline, much of mankind has abandoned a ruined Earth to live in space colonies. Osomatsu-san [TV] CoinSpinner gave it a 7. 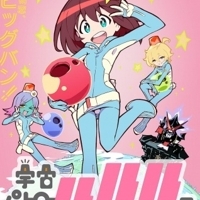 Space Patrol Luluco [TV] CoinSpinner gave it a 7. Living an abnormal existence in Ogikubo, an intergalactic melting pot of humans and aliens as well as the only Space Immigration Zone on Earth, Luluco is a bubbly middle school girl who just wants to be normal. One morning, however, her father, who works at the Space Patrol, eats a volatile sleep capsule by mistake and is frozen solid! 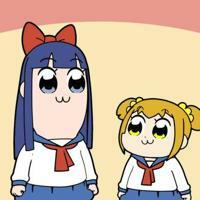 Pop Team Epic [TV] CoinSpinner gave it a 7. 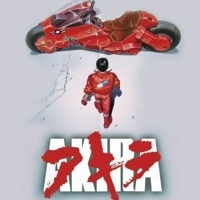 Akira [Movie] CoinSpinner gave it a 7. 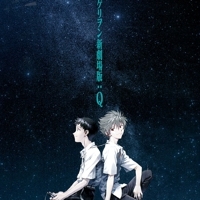 Evangelion 3.0 You Can (Not) Redo [Movie] CoinSpinner gave it a 7. 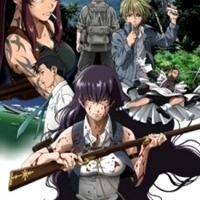 Black Lagoon: Roberta's Blood Trail [TV] CoinSpinner gave it a 7. 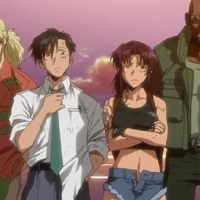 Roberta, the terrorist-turned-maid that made her appearence in the first season of "Black Lagoon", returns in this five-episode OVA series—and this time, all bets are off! Roberta's benefactor, the patriarch of the Lovelace clan, is murdered during a political rally. 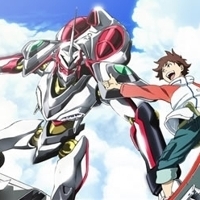 Eureka Seven [TV] CoinSpinner gave it a 7. 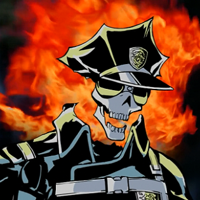 Inferno Cop [TV] CoinSpinner gave it a 7. 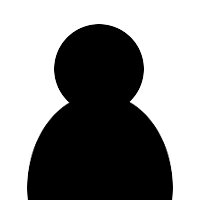 The story deals with those in this world who dwell in the dark, invisible to the naked eye. From time to time, these figures bare their fangs and attack people. 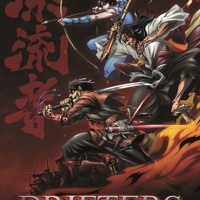 Samurai 7 [TV] CoinSpinner gave it a 7. 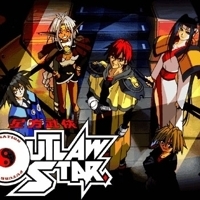 Outlaw Star [TV] CoinSpinner gave it a 7. 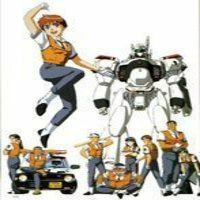 Patlabor The Movie [Movie] CoinSpinner gave it a 7. 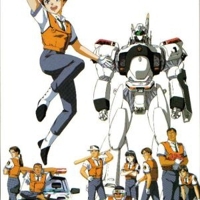 Patlabor: The Mobile Police [TV] CoinSpinner gave it a 7. In the future, advanced robotics has created heavy robots ("labors") for use in a variety of functions: construction, fire-fighting, military, and more. However, though the robots are only machines, their operators are also only human—and humans sometimes turn to crime. 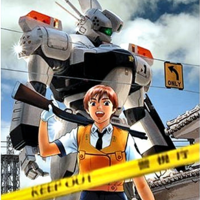 Patlabor The Mobile Police The New Files [OVA] CoinSpinner gave it a 7. 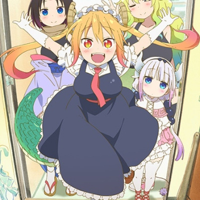 Miss Kobayashi's Dragon Maid [TV] CoinSpinner gave it a 7. 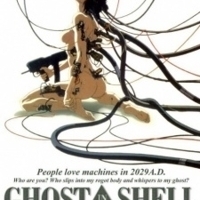 Ghost in the shell [Manga] CoinSpinner gave it a 7. Ghost in the Shell (?? 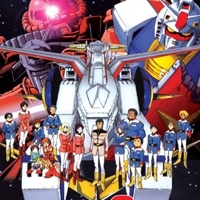 Gundam Victory [TV] CoinSpinner gave it a 7. Sixty years after the curtain fell on Zeon, Earth once again finds itself threatened by a colonial uprising. 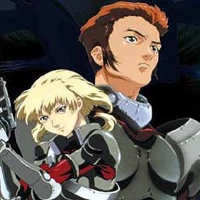 The Federation is powerless before the might of the Zanscare Empire, but a civilian resistance group is determined to fight back armed with a mobile suit which invokes the legend of the original Gundam. 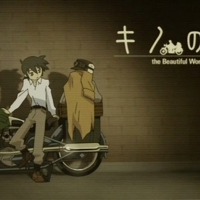 Otaku no Video [OVA] CoinSpinner gave it a 7. A normal man who slowly slips in to the life of being an otaku and never returns. 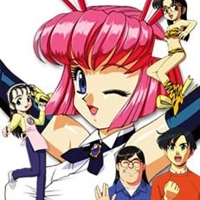 In this 1991 OVA by at the time newcomer animation studio Gainax,Ken Kubo, an ordiary Japanese man lives quite happily during the year 1982 with his girlfriend Yoshiko and as a member of his college's tennis team, until he meets one of his former friends from high school, Tanaka. 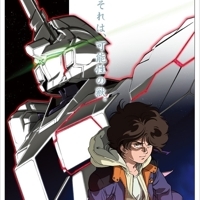 Gundam 0083 Stardust Memory [OVA] CoinSpinner gave it a 7. Three years of peace have followed the Earth Federation's victory over the Duchy of Zeon. Now in the year 0083, the last remnants of Zeon begin their plan for revenge by stealing a prototype Gundam armed with nuclear weapons. 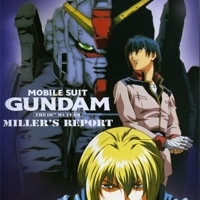 Mobile Suit Gundam The 08th MS Team [TV] CoinSpinner gave it a 7. The series is set in Universal Century 0079 in the jungles of Southeast Asia. 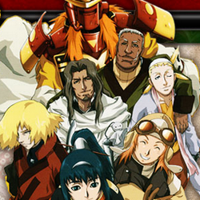 The Earth Federation and the Principality of Zeon are fighting a brutal guerrilla war for control of the area and its resources. 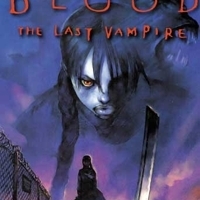 Blood: The Last Vampire [Movie] CoinSpinner gave it a 7. 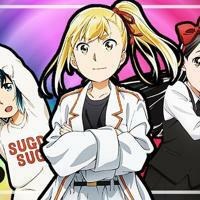 Hinamatsuri [TV] CoinSpinner gave it a 7. 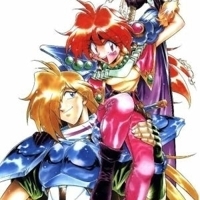 Slayers [TV] CoinSpinner gave it a 6. 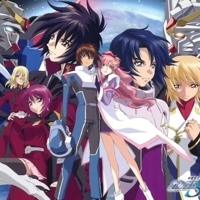 Gundam SEED [TV] CoinSpinner gave it a 6. 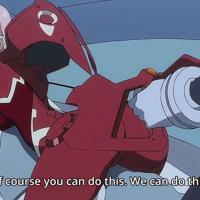 Darling in the Franxx [TV] CoinSpinner gave it a 6. 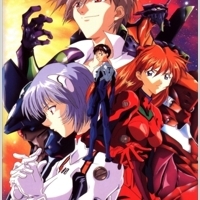 Shinseiki Evangelion Gekijouban: Shi to Shinsei [Movie] CoinSpinner gave it a 6. 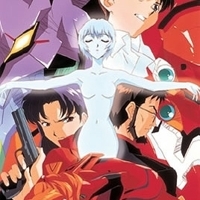 Originally a collection of clips from the Neon Genesis Evangelion TV series, Death was created as a precursor to the re-worked ending of the series. 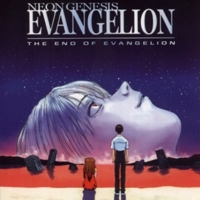 Rebirth was intended as that reworked ending but after production overruns became only the first half of the first episode of The End of Evangelion, with some minor differences. 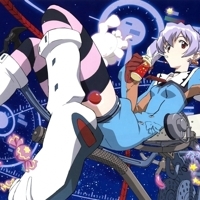 Diebuster [TV] CoinSpinner gave it a 6. 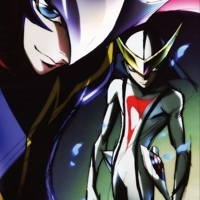 Casshern Sins [TV] CoinSpinner gave it a 6. Casshern Sins tells the story of a world where robots subjugated humanity after becoming self-aware. Their leader, Braiking Boss, ruled over the world with an iron fist. Vandread [TV] CoinSpinner gave it a 5. MiniPato [OVA] CoinSpinner gave it a 5. 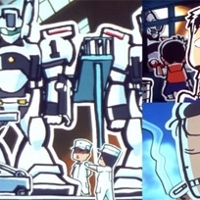 <i>Source ANN:</i><br/><br/>Unlike most shows the three episodes are not only totally unrelated to each other but really don't follow a plot as such and are more a light hearted jibe at both the Patlabor series (TV and films) and other "mecha" Anime. Episode 1 is a brief introduction to the weaponry carried by the Ingram and how it was designed and why it is the way it is. 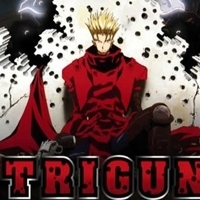 Trigun [TV] CoinSpinner gave it a 5. 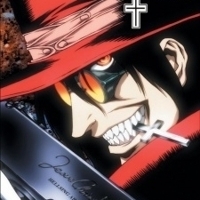 Hellsing [TV] CoinSpinner gave it a 5. Blue Gender [TV] CoinSpinner gave it a 4. 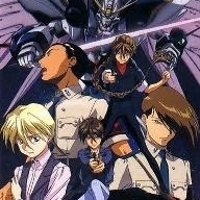 Gundam Wing [TV] CoinSpinner gave it a 4. Digimon Adventure Tri [OVA] CoinSpinner gave it a 4. It's been six years since that summer adventure when Taichi Yagami and the rest of the DigiDestined crossed over to the Digital World. And nearly three years have passed since the final battle between Hikari Yagami's group and BelialVamdemon. 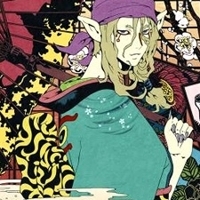 Mononoke is a spin-off of the Bakeneko story arc of Ayakashi - Japanese Classic Horror. It follows the Medicine Seller as he deals with various spirits or "Mononoke" in feudal Japan.